United states stamped backwards on obverse side. Anybody know how this happened? Hi. It's in the right location. Looks like die clash to me. Any more opinions? I dont think this could be faked but were are the words ( Of AMerica ) ? Looks like an "after mint" alteration. Try it with two pennies and a nice block of wood and hammer. Bet you can make some more of them. How could a nice block of wood alter steel? And why? Smack the two pennies together, use the wood to soften the hit from the hammer. 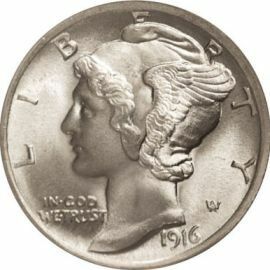 If you flip the UNITED STATES part onto the obv of the other coin, you can "mint" your own image. i find about 100 wheats every year in my change. Sometimes ive found 2 silver roosevelt dimes and i always find old nickels. I need help! 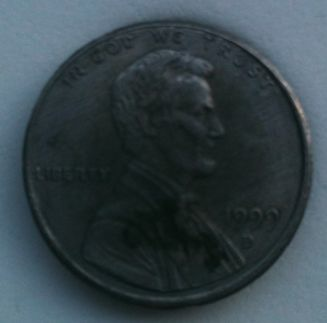 Silver colored 1999 D penny, i Know kids coat pennies in zinc in chem class i have a billion, but this is not!!! the penny has a slight convex shape, It is not plated with anything the metal is solid no luster, almost a diagonal brush mark (like a brushed steel watch band) across ob and rev going in same direction. Rough-ish sides (not polished) very very sharp details. Un Plated? My iphone made it look darker but it is in fact a silvery color. Tamaka Gold Corporation is an advanced stage gold exploration company with projects in Ontario, Canada. The company’s lead project is the 100%-owned GoldlundProject which is located in the North-Western part of province and is situated in a well established mining region. Keep it man. Maybe its rare maybe not. From what year is it? Very good collection that you have posted. A copper planchet, about 175 wheat cents, an AF mercury dime, four silver dimes, over 400 bicentennial quarters, five silver quarters, and a 1982 proof quarter.